Content marketing is more than just storytelling. Don't get me wrong. Stories are wonderful. Everyone loves them, and stories can be an enormous component of a content marketing strategy. Yet increasingly the word "story" is used in some quarters to supplant the term "content marketing," and that's just wrong. Of course, to the man with a hammer, i.e., the person with "storyteller" in their title, everything looks like that proverbial nail. There are three types of content marketing and, as a general rule, only one of them classically "tells a story." The other two content marketing modes are equally important, and often follow the rules of a story arc while not adhering to other rules of narrative. Here are the three types of content marketing. Content that entertains is the most likely of the three types of content marketing to "tell a story." Think viral video, comic strip, or webisode. 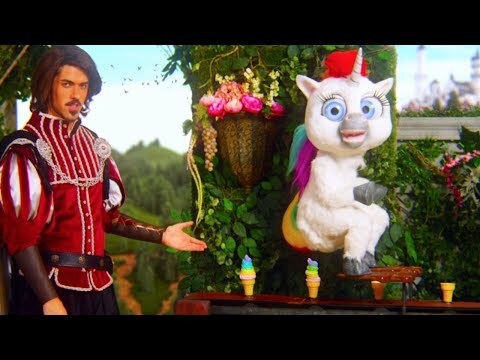 Whole Foods' Do Something Reel film series is a prime example, and so was last year's viral hit from SquattyPotty, This Unicorn Changed the Way I Poop. Chipotle's The Scarecrow is another standout in the genre, prompting every agency with a fast-food account to receive a "build me one of these" phone call. Purina's Dear Kitten is a recent standout in this genre, so is The Lego Movie (also an example of my highest level of content maturity, monetizable marketing, with a $550M box-office take). Entertaining, storytelling content needn't always be video, there are certainly other forms. But increasingly storytelling is going visual, and audio visual, given those formats are easiest to consume on the small screen, and are more frequently shared in social channels. Overwhelmingly the choice of B2B companies, as well as B2C products and services with a high need for information/education or longer consideration and sales cycles, content that informs helps prospects evaluate options, the product or service, and make decisions. It can also, post-purchase, enhance the customer experience and lead to cross- or upselling. Marketing software maker Hubspot, for example, publishes enormous volumes of extraordinarily useful content for digital marketers and advertisers, rivaling that of trade publications in the space. American Express' OPEN Forum has been a content marketing poster child for years, but isn't a storyteller. Instead, the brand publishes information helpful to small business owners and entrepreneurs. Zenni Optical doesn't tell stories to its buyers. Instead, it offers them tools to help make buying decisions. How do you measure the bridge of your nose for optimal fit? The distance between pupils? Utility content helps users accomplish tasks; think mortgage calculator from a bank. Calorie counter from a health or fitness product or service. Realtors offer tools that help homebuyers find properties and assess neighborhoods for amenities such as schools or crime rate. Unsurprisingly, utility content tends to be embodied in apps, and is idea for mobile content plays. And while arguably they may be a "story" in every mortgage or home sale or calorie, that's not the purpose of utility content. Instead, more akin to informational and educational content, it helps nudge a buyer toward a decision, as does this table from Crutchfield to calculate how big a flat screen TV to buy, based on room size. So which of these three types of content should you invest in? (I'm asked this a lot.) The answer, I'm afraid, is "it depends." That's why content strategy is so essential. You may be able to accomplish your goals with storytelling. You may require other types of content in addition to, or instead of storytelling. Without strategy, it's impossible to tell.